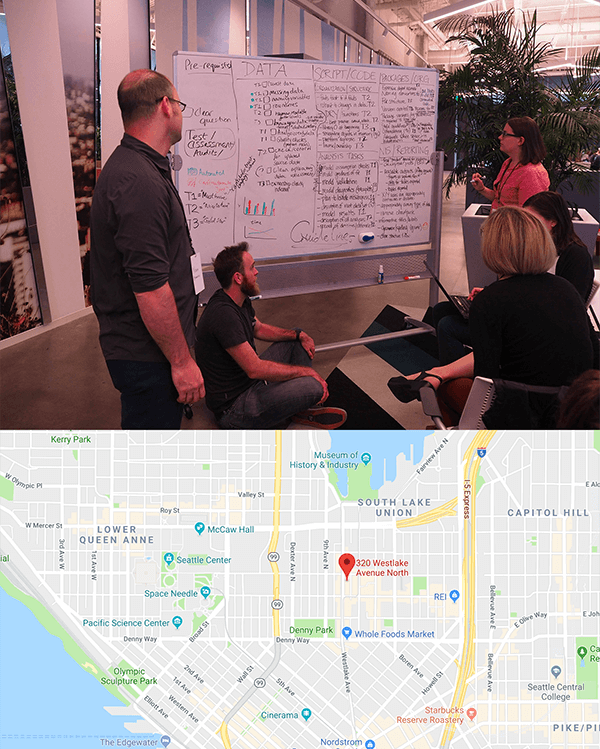 For a fifth year running, rOpenSci is excited to announce our unconference 2018, this time in Downtown Seattle in the verdant Pacific Northwest. We're organizing this event to bring together scientists, developers, and open data enthusiasts from academia, industry, government, and non-profits to get together for a few days and hack on various projects. rOpenSci unconferences have a rich history. Past projects have related to open data, data visualization, data publication and open science using R. To ensure a safe, enjoyable, and friendly experience for everyone who participates, we follow a strict code of conduct and terms and conditions. The rOpenSci unconference is our annual event loosely modeled on Foo Camp. This event is unlike many other unconferences in that it is mostly invite-only (past attendees often recommend new ones) with a few spots set aside for self-nominations from the community at large. The agenda is mostly decided during the conference itself. Nominations are now closed..
All unconference ideas will begin as GitHub issues on the unconf repo in the weeks before the event. However, the actual schedule will not be decided until the morning of the 21st. You can see some of the projects proposed and read a summary of last year's event. In addition to support from the Helmsley Charitable Trust, we are extremely grateful to all the sponsors for this year's event. We are also grateful to our fiscal sponsor, NumFOCUS, for helping organize the event. If your organization would like to sponsor the unconf, please email stefanie [at] ropensci org for a sponsorship prospectus. Contact us for more information about the event. This page is available at this repo. Corrections, changes, and suggestions for improvement are welcome as pull requests.